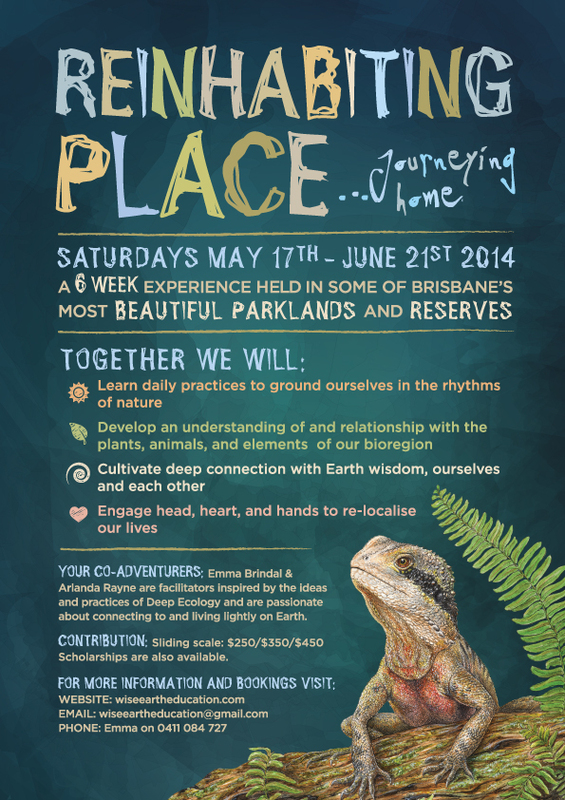 Reinhabiting Place Flyer: May-June 2014. Click to view. Your co-adventurers: Emma Brindal and Arlanda Rayne are facilitators inspired by the ideas and practices of Deep Ecology and are passionate about connecting to and living lightly on Earth. Contribution: Sliding scale: $250/$350/$450. Scholarships also available.